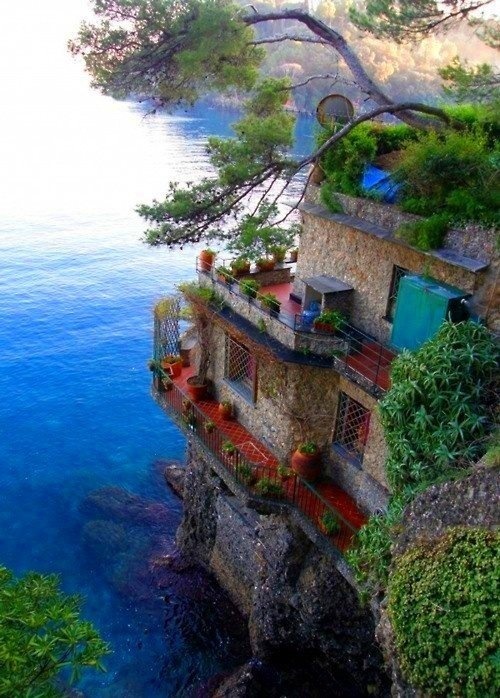 Cinque is a rugged portion of coast on the Italian Riviera. It is in the Liguria region of Italy, to the west of the city of La Spezia. "The Five Lands" is composed of five villages: Monterosso al Mare,Vernazza, Corniglia, Manarola, and Riomaggiore. The coastline, the five villages, and the surrounding hillsides are all part of the Cinque Terre National Park and is a UNESCO World Heritage Site.Over the centuries, people have carefully built terraces on the rugged, steep landscape right up to the cliffs that overlook the sea. Part of its charm is the lack of visible corporate development. Paths, trains and boats connect the villages, and cars cannot reach them from the outside. The Cinque Terre area is a very popular tourist destination. The villages of the Cinque Terre were severely affected by torrential rains which caused floods and mudslides on October 25, 2011. Nine people were confirmed killed by the floods, and damage to the villages, particularly Vernazza and Monterosso al Mare, was extensive.